A deluxe edition of Philip Pullman's bestselling classic, with gorgeous new full-page illustrations, just in time for the holidays. Philip Pullman's return to the world of The Golden Compass in this first book in a new trilogy was hailed as an instant classic. In it we learn more about Lyra's origins, meet a stalwart new hero with a pivotal role to play in keeping Lyra safe, and catch our first glimpse of the ever elusive substance known as Dust. 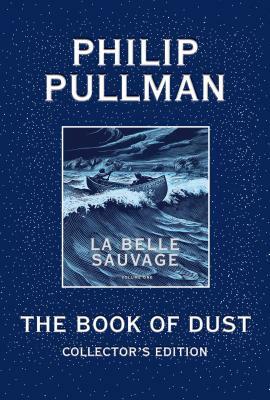 This impeccably designed and produced collector's edition includes beautiful new illustrations from cover artist Chris Wormell and an exclusive interview with Philip Pullman about writing La Belle Sauvage. PHILIP PULLMAN is one of the most acclaimed and best-selling writers at work today. He is best known for the His Dark Materials trilogy: The Golden Compass, The Subtle Knife, and The Amber Spyglass, which has been named one of the top 100 novels of all time by Newsweek and one of the all-time greatest novels by Entertainment Weekly. In 2004, he was appointed a Commander of the Order of the British Empire. He lives in Oxford, England. To learn more, please visit philip-pullman.com or follow him on facebook at Philip Pullman author, and on Twitter at @PhilipPullman.